When the first US Mint began operation in 1793 the idea of a distinct coinage produced by the United States was novel indeed. The former colonists were often short of coins of any kind, and those that were available were largely foreign pieces brought in through normal trading activity. Chief among these were the silver coins of New Spain from mints in Mexico City, Potosi, Santiago, and Lima. The eight real coin was a large silver coin which, along with its fractions, had been coined for more than two centuries and circulated with great respect in trade worldwide. 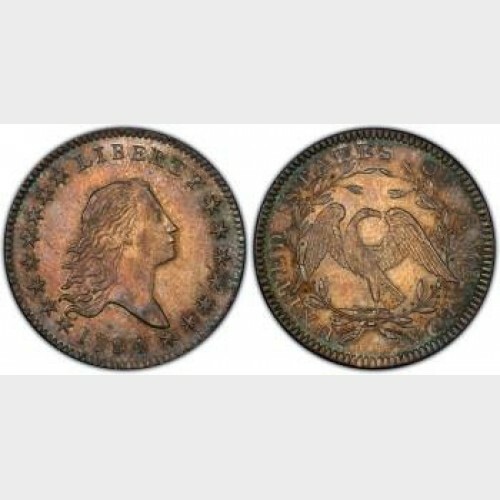 As these coins contained silver in an amount nearly equal in value to their face value, at times they would become undervalued the market price of silver bullion would spike upward. And when that happened, people hoarded the coins for their metal – and they disappeared from circulation. When Thomas Jefferson and Alexander Hamilton were implementing the first US domestic coinage the impact of fluctuating precious metal prices was a top of mind concern. 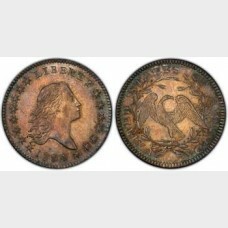 During the first few years (1794-1803) the silver dollar was in and out of circulation as silver prices moved. Ultimately it was decided to curtail dollar coin production in favor of the silver half dollar. The half dollar remained in circulation because, although its gross weight was half that of the silver dollar, the purity of silver was a tiny bit lower. The half dollar became the largest US silver coin for more than three decades from 1804 through 1838. Below is a collection of photographs of each half dollar type from the beginning to the present. Next time you visit our store, ask to see the many collectible half dollars we have in our inventory.